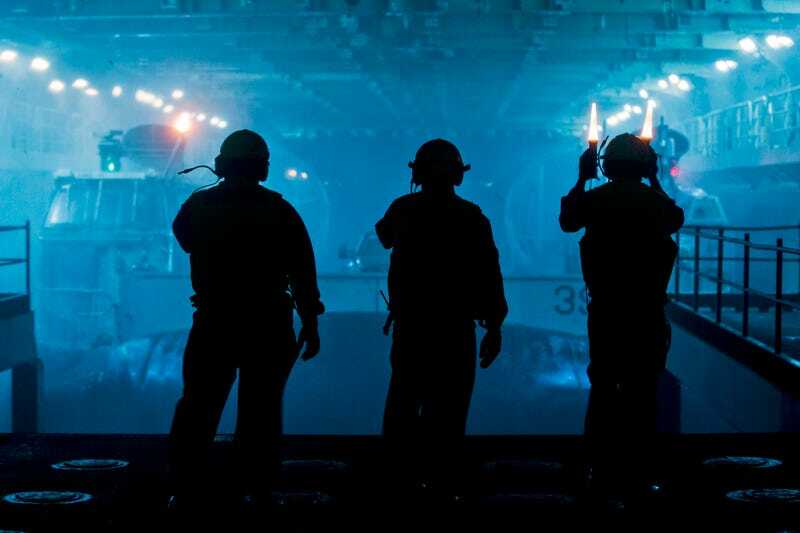 The US Navy sailors in this photo are directing a landing hovercraft "into the well deck of the amphibious assault ship USS Kearsarge in the Atlantic Ocean, July 29, 2014." The scene is so cinematic that it could have been filmed onboard the USS Sulaco. It only needs some Power Loaders. From the outside, this is how the hovercraft looks like entering the belly of the beast, in this case the amphibious assault ship USS Wasp. A front view of the Landing Craft Air Cushion (LCAC).